A Lenovo ThinkPad X1 Carbon laptop (7th Generation). CHINESE TECH COMPANY Lenovo is recalling some of its laptops after a fault was found that could cause the machine’s battery to overheat. Dublin Fire Brigade is advising customers to check to make sure their laptop model isn’t affected as it could pose a fire hazard. The recall is limited to some ThinkPad X1 Carbon 5th Generation laptops (machine types: 20HQ, 20HR, 20K3, 20K4), and the fault was caused by a faulty screw, the company said. Lenovo has determined that a limited number of such laptops may have an unfastened screw that could damage the laptop’s battery causing overheating, potentially posing a fire hazard. 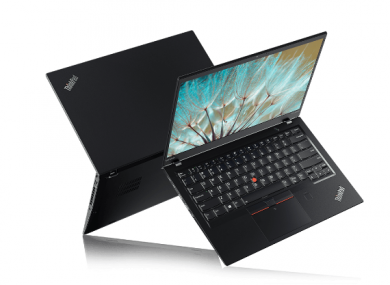 ThinkPad X1 Carbon 5th Generation laptops manufactured on or after 1 November 2017 are not affected, it added. To find out if your laptop is being recalled, visit the Lenovo customer page here and enter your laptops make and serial number. Email “Fire hazard: Lenovo laptops recalled due to battery fault”. Feedback on “Fire hazard: Lenovo laptops recalled due to battery fault”.